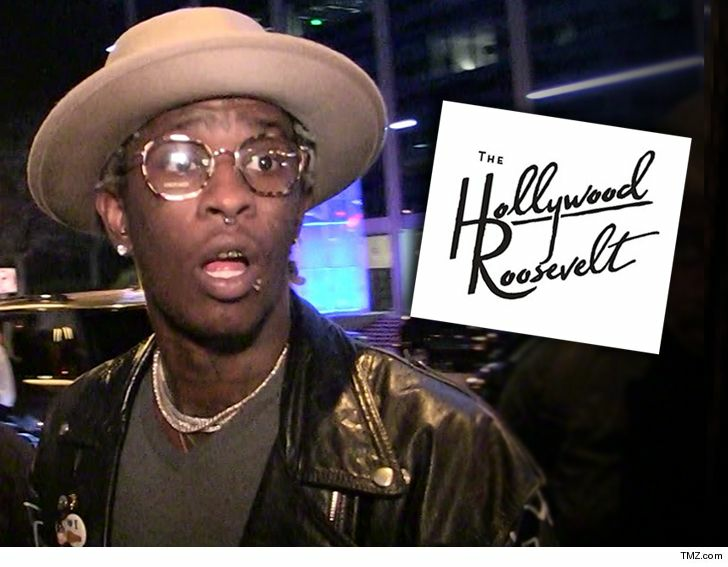 Young Thug Booker Sued By Roosevelt Hotel You Broke Our Contract! 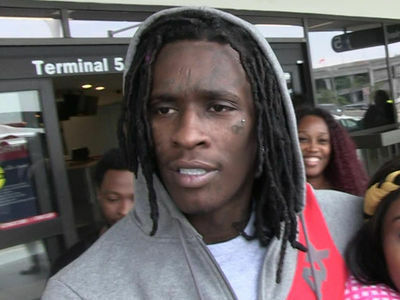 Young Thug agreed to perform at The Hollywood Roosevelt Hotel Halloween weekend for $85k, but refused to get on stage if the hotel didn't cough up an extra $20k last minute ... according to a new lawsuit. The Roosevelt is suing Suntoucher Entertainment, claiming they locked Thugger's Oct. 28 performance for $85k and gave the booker half the fee a month ahead of the gig. 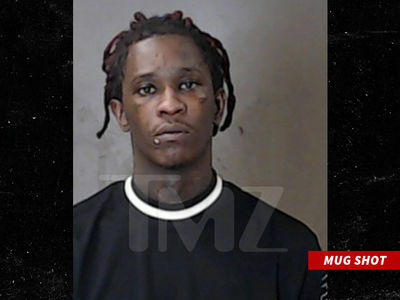 The Roosevelt says about a week before the concert, Young Thug contacted them saying he was not repped by Suntoucher and put them in touch with his agents at CAA, who demanded an additional $20k for the performance. The Roosevelt says they decided to cough up the extra dough since they'd already sold tickets, but since the booker broke the original deal, they're suing to get back their $42.5k deposit and the extra $20k. FYI ... some TMZ staffers were at the show and say Thugger's set was lit.